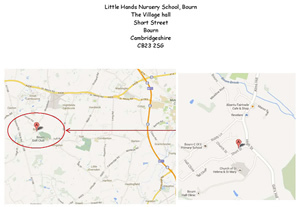 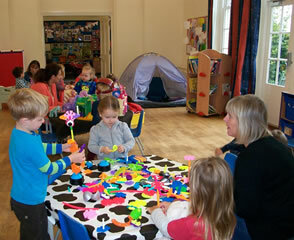 Little Hands Nursery School – Bourn provides quality preschool care and education for children aged two years and over. 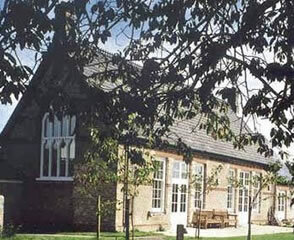 The setting occupies the main hall and an adjacent room in Bourn Village Hall, an award winning building with its own fully enclosed outdoor play area in the popular South Cambridgeshire village of Bourn. 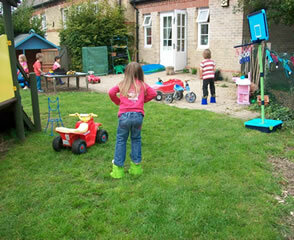 Ideally situated for the expanding and increasingly popular village of Cambourne and the surrounding villages the Nursery School, the subject of an extensive redecoration programme during 2014, comprises a large, bright and airy main room with an adjoining smaller, quieter room ideal for focus play where the younger children enjoy adult initiated playtime. 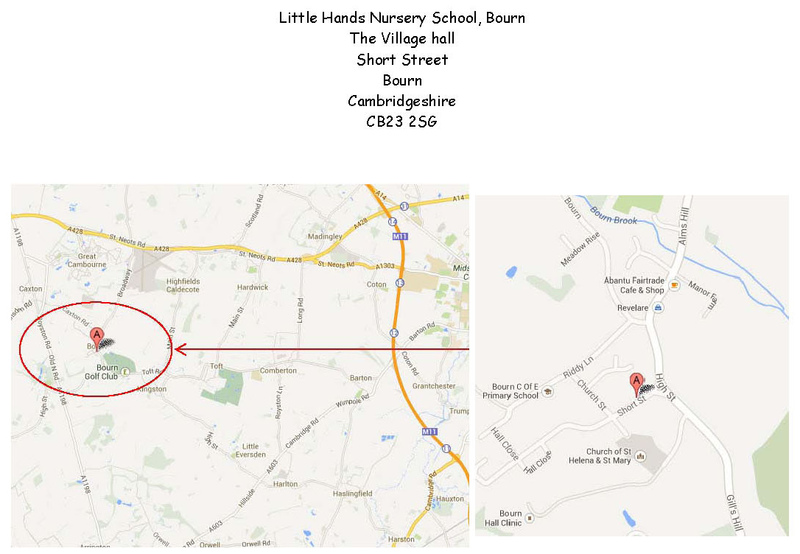 Both rooms have direct access to the fully equipped, totally enclosed and imaginatively landscaped inside /outside play area. 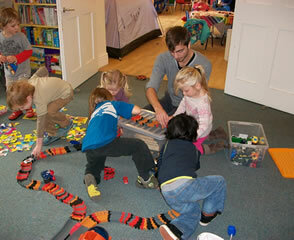 A self-contained pre-school room and a quiet room all of which allow various activities with small groups of children to run concurrently; quiet and busy, supervised and imaginative.